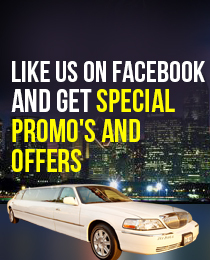 We are your ultimate Anaheim limousine company with affordable rates for your Anaheim limo rental service needs. We can provide luxurious ground transportation for all your special occasions: wedding, anniversary, night out in town, prom, bachelor party, corporate business meetings, group transfer, etc. When you need luxury transportation at the lowest rates available; our Anaheim limo rental service offers a dynamic fleet of stretch limos, sedans, shuttle buses and luxury corporate cars. United Limousine and Charter offers transportation options from professional and polished Anaheim limousine rental service to bombastic and bold luxury party bus service. No matter what your needs be, our Anaheim rental limos will take you anywhere you desire to go throughout Southern California. ULC has been offering consistent limo rental service with high quality and commitment to prove ourselves the best transportation service available in your area. We are market leaders in this industry and we can prove that by our ultimate service. Our people know how to treat you while on board with us as we believe in maintaining relation with our customers. Which Anaheim limo is Right For You?